Just a quick rush to the bathroom, you open your toiletry kit and without looking you want to take your shampoo out. But instead of grabbing the clean bottle, your fingers are covered in a mixture of soap-like liquids. Ugghh, right? We have all been there! Solid shampoos are not very well known, but are simply great! No more leaking bottles no matter where you go – your toiletry kit and backpack will stay dry and clean. Step 1: Wet your hair as you would usually when you wash it. Step 4: Bubbbbles and foam will form like magic! Step 5: Put the shampoo bar away and massage the foam into your hair! Step 6: Rinse and ready! Where do you get the solid shampoo bars? I just know of one place that sells them at the moment, there might be more out there though. The one that I use is from Lush Cosmetics. They only use organic and fresh ingredients and do not test on animals. They don’t put any chemical conservatives into their products and are no fans of single packaging. You can either check if there is a Lush Cosmetics Shop in your country or order online. What different shampoo bars are available? This is the one I use – and I love it! Jumping Juniper is perfect when your hair tends to get oily, is smells deliciously like lavender and rosemary! I got two of them – one to just leave at home and go travelling and the other is at my boyfriends. 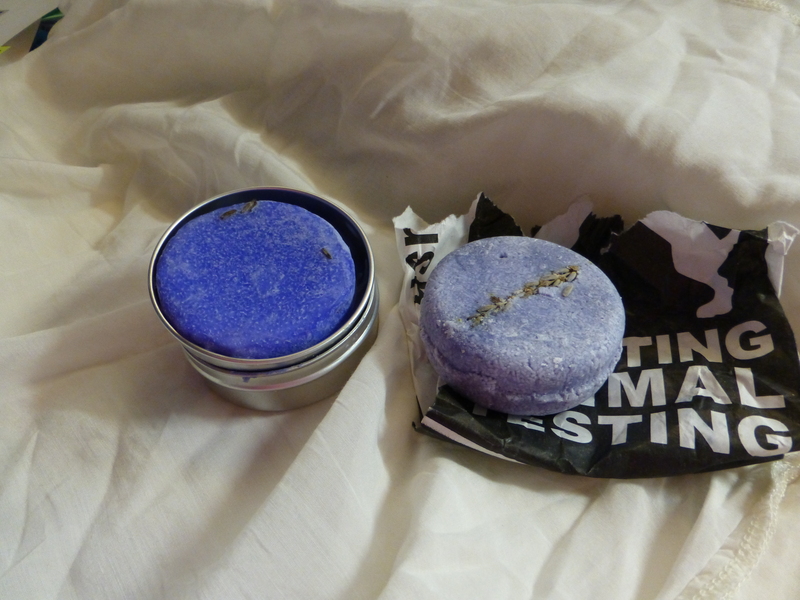 You can see I got one of the metal tins Lush sells. They fit the bars perfectly! New! Works wonders! When your hair is getting stressed and getting thinner – this might be the solution for you! The smell is like christmas: cinnamon and clove! Karma Komba: It’s all about karma! Smoothens out your hair and leaves your sculp sooth and in form. Godiva: 2 in 1: Shampoo and Conditioner – what for do you ask more? With nut oils and shea butter for an awesome shiny hair. Check out also Soak and Float, Squeaky Green, Ultimate Shine and Dr. Peppermint. The price varies quite a lot depending on the country you buy it in. In Canada the solid shampoo bars range from 10.95 to 11.95 CAD; whereas in the states from 10.95 to 11.95 USD and in Austria from 9.95 to 10.45 Eur. I will definitely buy them again! The smell is great and my hair was never so healthy and shiny. Must buy and must keep! Keep on travelling and stay safe! Note: This post is not sponsored, neither have I received samples provided by lush. This post expresses my own personal point of view. Very cool! I’ve never heard of that before. What would be interesting for me is how long one bar lasts for? I just rushed to Lush because of your review. I couldn’t decide on a single shampoo bar, so I got three of them! Did you know there is conditioners by Lush as well? I’m very glad you liked it! Which bars did you get? I know that they have some conditioners, but I never tried them!